This escapist ideology is shortsighted and, in many respects, erroneous. The idea that human beings turn to art and entertainment as a way to alleviate life’s strain and pressures is accurate. But what is it about art and entertainment that actually provides relief, beyond the temporary escapism? While being transported to cinematic worlds in galaxies far, far away may seem like departures from reality, it doesn’t necessarily benefit your life outside of those two hours; in fact, it might do more harm than good. The science seems to indicate that confronting our emotions, rather than ignoring them, however troubling these emotions might be, is a more effective means through which to purge the pain, anxiety and trauma we encounter day to day. Let’s take a result of such a purge for example: the physical act of crying. The biochemist William H. Frey II purports that the reason people feel better after crying is that it decreases the level of adrenocorticotropic hormones in the blood, hormones associated with the detection of, and response to, threat or other stress-inducing stimuli. It also promotes the production of cortisol, which lowers stress in these types of situations. Putting the science aside, experiencing emotion as a way to cleanse oneself of it is nothing new. Aristotle posited the notion of catharsis in ancient Greece. He believed tragedy, with respect to drama, is the imitation of action arousing pity and fear, the purpose of which is to achieve the purgation of those emotions. The act of being a spectator of dramatic tragedy has a tangible, and ultimately positive, effect on the mind and body. Catharsis is the basis of psychoanalysis. The expression of the original emotion, one that has been repressed or ignored, is the method through which the healing of trauma can only begin to take place. While movies are not psychoanalysis sessions, the idea that people go to the movies to “escape” means they must be escaping from something. Furthermore—and this is the problem—this same something that is being ignored for a couple hours will only return later and will have become greater and more overwhelming than before. The very origin of dramatic storytelling, predating Greek tragedy, goes back to Egypt around 2800 BC in the form of pyramid texts that depict the dramatic journeys of dead pharaohs entering the underworld. The earliest dramas all have one thing in common: death. 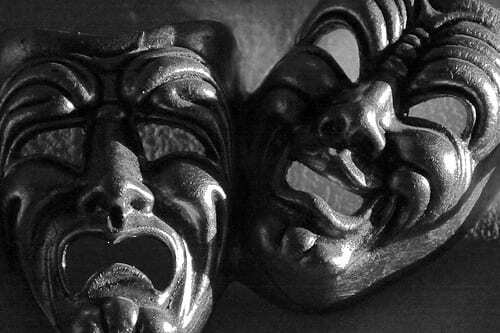 The whole purpose of the invention of drama was realizing a type of catharsis or emotional resolution through confrontation, not some desire for vapid escapism. Most people tend to look toward the past with regret or to the future with dread. Hollywood provides entertainment that sacrifices emotion for spectacle, spectacle it thinks will allow viewers a respite from the regret and dread behind and in front of them. “The Fifth Wall” provides the regret and the dread, which allows for exactly the kind of respite the audience desires—one that extends beyond those two hours and into their lives after the film. Middle Class Filmmakers: Do you want to make Hollywood films or Fifth Wall films? Your answer may very well impact the future sustainability of an art form that matters to us a great deal. The Fifth Wall, this movement.. as I’m assimilating It’s foundation in catharsic embrace, will in my opinion, always remain a powerful and crucial aspect of filmmaking. I love this ideology, and it does well to edify a too easily overlooked aspect of the purpose of film. The effects of film on the senses is very healing on many levels in various ways, different to each individual. A Fifth Wall film is bound to reach depths of various individuals at varying points of their psyche for healing, an almost ‘secret weapon’ healing mechanism. I admire this concept and the good intentions behind the movement. Personally, although I’ve yet to complete my own work, first screenplay, first film story.. my own purpose, creative flow has no other mechanism but innate deep spiritual connections from my own life experiences, growth, tragedies, wisdoms, and joys. No matter how surreal the story, this connection to my own resonant frequencies seem to carry over the same elements of resonant frequency into what ever I write. It can become a Neverending array of beautiful flowing patterns of ideas for character life to any sequence of actions, cumulative arrangements and solutive thought patterns. From vision to pen. It’s simple, natural and a righteously positive embracement to film? Then again…It’s always come natural for me to visualize what I read as if simply watching a movie while reading a book. Thanks for sharing your movement, I embrace it happily!